Home > Operations > Can I add advisory messages to the customer information page? 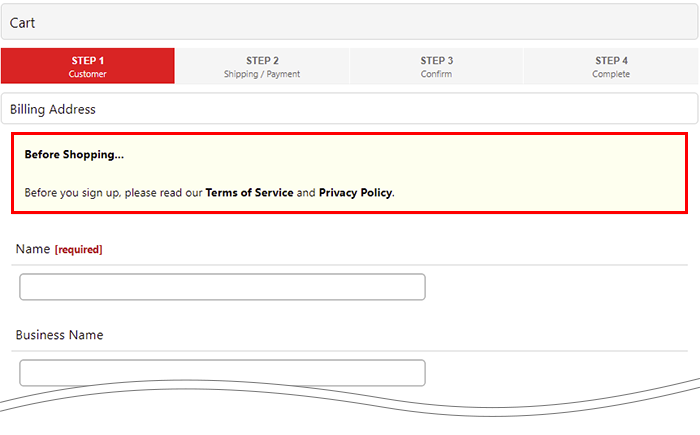 Q.Can I add advisory messages to the customer information page? To display advisories on the registration page, navigate to Operations → Customer registration form. Scroll down to the Top of page message section and select Display. Enter your text to display here in the PC site message text field. Select Display for members in cart if you would like to display this text to members who have already signed in. If you do not wish to display this text to members who have already signed in, select Hide for members in cart. In the Default display field, select Collapse if you want the text to be hidden by default, but displayed if you click on the advisory. 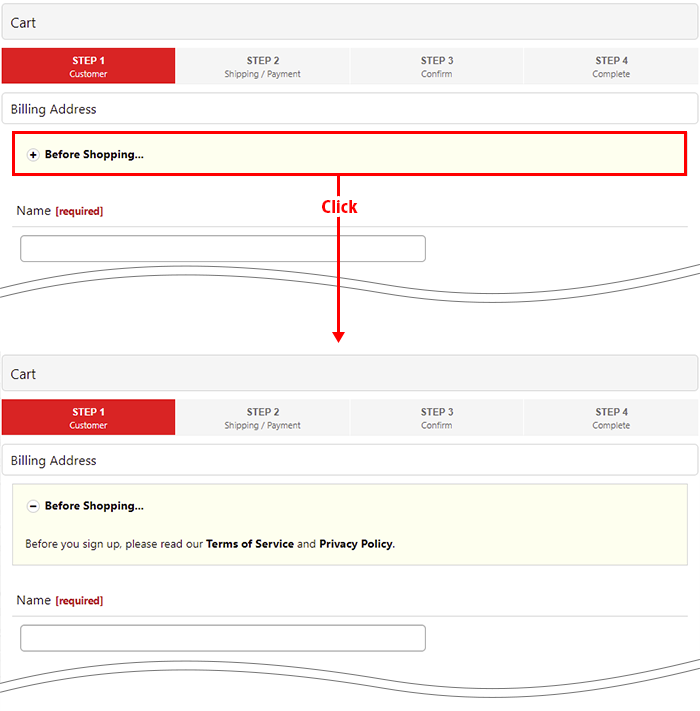 Once you've configured your settings, be sure to click (Save) at the bottom of the page.